The 36th Wing (36° Stormo "Riccardo Helmut Seidl") was established in Bologna on February, 1st, 1938 as a Bomber unit equipped with Savoia-Marchetti SM.79 and SM.81 airplanes. During World War II, the Wing has been involved in bombing missions over North Africa, the Mediterranean Sea and the island of Malta. For these actions, the unit flag was awarded the Silver Medal of Honor and received its first Medal in memory of the airman lgnazio Zanini. In 1941, 36th Stormo became a torpedo bomber unit. It was deployed to Sicily from where attacks against the british fleet were flown. 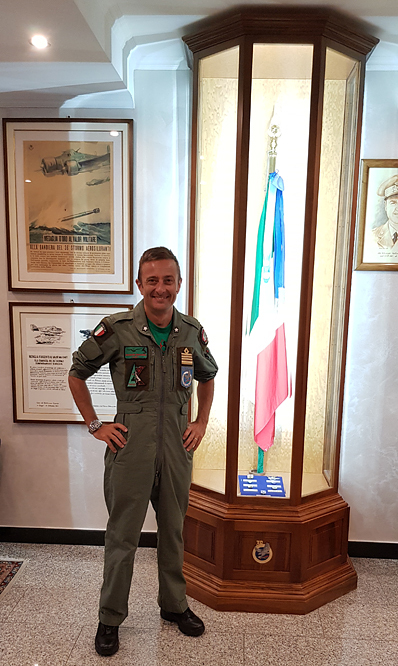 During one of those missions, the Wing lost its Commanding Officer, Riccardo Hellmutt Seidl, together with three Squadrons Commanding Officers and many other crew members. For their courage and bravery, the four officers were awarded the Gold Medal of Honor. During the Liberation war, the 1st and the 88th Flight Squadron, stationed ot Lecce, established the Night Wing, then called 36th Transportation Wing. The unit flew over the Balkans and the South-Eastern Aegean Sea, equipped with SM.82, SM.79, G.12 and Cant.Z.1007bis airplanes. During this wartime period the Wing earned a Silver Medal of Honor. - 62 Military Crosses for Valor. In 1948, the unit moved to Guidonia, east of Rome, operating as airlift and air-cooperation Wing. Soon after it relocated to Latina, south-east of Rome, until January 12th 1955, when it was disbanded. ln 1960, at the climax of the Cold War. 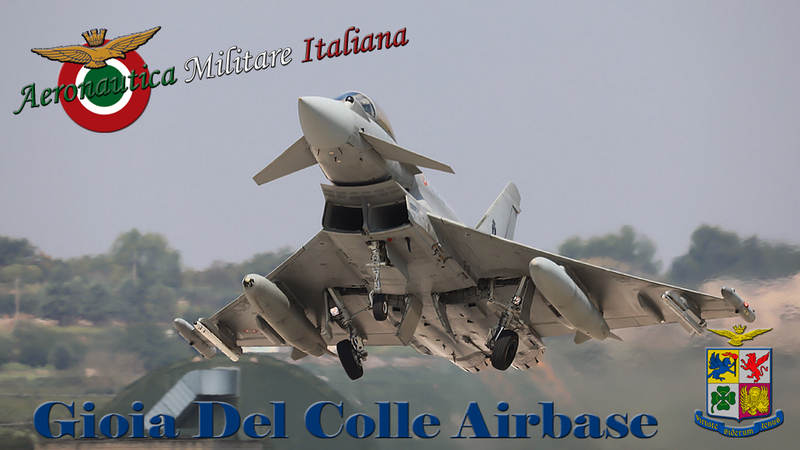 the 36th Strategic lnterdiction Air Brigade was established on the current site of Gioia del Colle airbase. 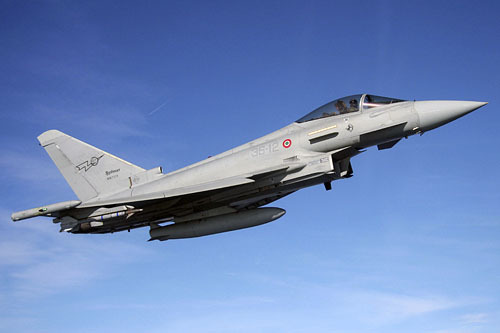 The Unit was the only one in the history of the ltalian Air Force equipped with ballistic medium range missiles "Jupiter" carrying nuclear warheads. The 36th Strategic lnterdiction Air Brigade maintained its role until 1963. In 1966, the Winq was converted to a fiqhter unit, still its current role. The 36th Wing included the 12th Fighter lnterceptor Squadron and the 156th Fighter Bomber Squadron, equipped with F-86K and F-84F jet fighters, replaced in the early 70's by the supersonic F-104S. In june 1984, 156th Squadron was re-equipped with Tornado IDS jet aircraft and, from September 26th 1990 until March 15th 1997, a Squadron detachment took part in the First Gulf War (Operation Locust) to free Kuwait from Saddam Hussein's invasion. The Wing stood on the front line during the 90's. In particular during the Deny Flight Operation, when 156th squadron flew missions over the Balkans, ripped by longlasting civil wars. At the same time the airbase acted as main base for the entire NATO operation, hosting and supporting many military units operating over the Former Yugoslavia. Later on, with the Sharp Guard Operation from June 1993 the Lynxes of the 156th flew over Serbia to control the UN resolution fulfilment. ln the meantime, from July 5th 1995, 12th Squadron had replaced the outdated F-104S with the Tornado F.3, the interceptor version of the aircraft used by 156th Squadron. 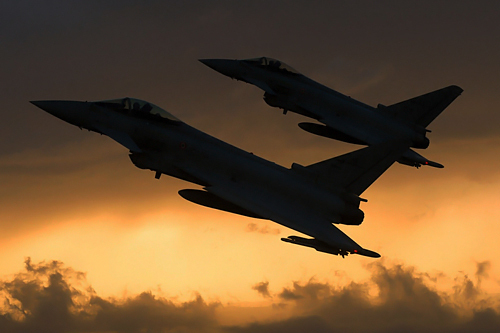 The operations over the Balkans continued with Decisive Endeavour (from December 1995 to December 1996) that saw the contribution of 156th Squadron and the deployment of national and NATO assets on the airbase. Among them 21st Squadron, equipped with Tornado F.3. A few months later, after the dismantling of 53rd Wing in july 1999, 21st Squadron moved to 36th Wing. From that moment, all three flying squadrons of 36th Wing (12th, 21st and 156th) took part in the following operations over the Balkan airspace: Deliberate Force, Allied Force and Joint Guardian. At the conclusion of the Tornado F.3's leasing contract, from September 2004, 12th Squadron was temporarily converted to "Slow Movers lnterceptor" role, equipped with MB-339CD. The Squadron took part in several air defence missions to guarantee airspace protection from asymetric threats : the NATO Summit (Nice, 2005); Pope John Paul ll funeral (Rome, 2005); the World Eucharistic Congress in Bari; Turin Winter Olympic Games (February 2006). 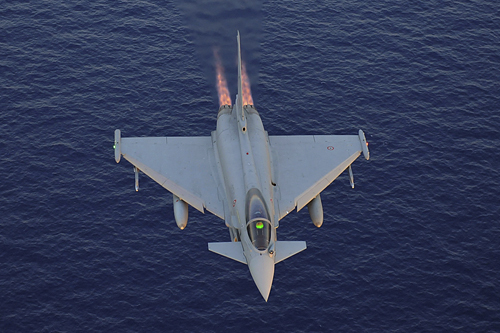 On October 1st, 2007, the first Eurofighter "Typhoon" was assigned to 12th Squadron, while on July 1st, 2008, 156th Squadron moved to 6th Wing, returning to its native airbase 42 years after leaving it. From Januarv 5th, 2009, the Wing is part of NATO and national airspace surveillance system, becoming the heart of the Air Defence for the Southern Mediterranean Area. On July 1st, 2010, 10th Fighter lnterceptor Squadron moved from the 37th Wing in Trapani to 36th Wing. 36th Wing had an immediate opportunity to test the new two squadron configuration. 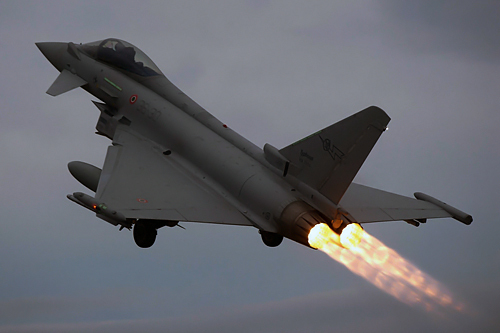 Due to the escalation of violence in Libya, the UN Security Council issued the resolutions 1970 and 1973 and authorized the establishment of a No-Fly zone over Lybian airspace : the Operation Unified Protector started. 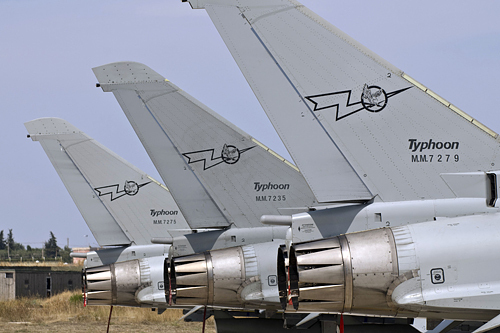 From April 2011, a wing detachment was deployed to Trapani, from where it participated to the operation over Libya for its entire duration. 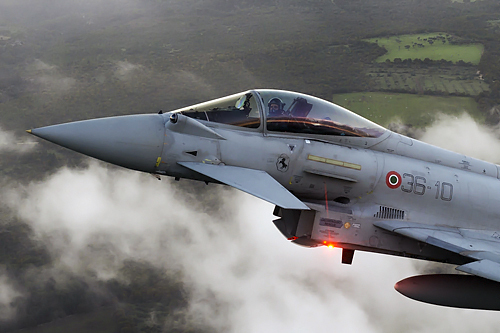 ln recent times, the Wing took part in further Air Defence operations overseas, including Air Policing over lceland, Estonia, Lithuania and Bulgaria, assuring at the same time, from Gioia del Colle, the air protection of Albania, Slovenia and Montenegro alongside its main mission : the protection of italian airspace. 36th Fighter Wing welcomes you ! (Philippe Decock©) I am ready ! Starting up, time to leave the shelters ! Thank you for waving ! (Philippe Decock©) Have a nice flight ! (Philippe Decock©) Impressive rate of climb ! (Philippe Decock©) Impressive manoeuver ! The 15th Wing (15° Stormo "Stefano Cagna") was reconstituted on October 1st, 1965 at Ciampino as a Stormo SAR composed of the 84th Aircraft Group (HU-16) and the 85th Helicopters Group (AB-47J, AB-47J.3 and AB-204B ), with two mixed sections detached to Linate and Grottaglie. On May 18, 1968, with the decree of the President of the Republic, the "silver medal for civil value" was conferred for the "... generous contribution of the Stormo in relief operations to the populations of territories devastated by a violent flood ... "(Autumn 1966 - Tuscany and Veneto). Since August 1977 the Stormo received the first HH-3F. In March 1978 the Detachment of Grottaglie was transferred to Brindisi, where it took the name of 84th SAR Center on October 10th, 1979. 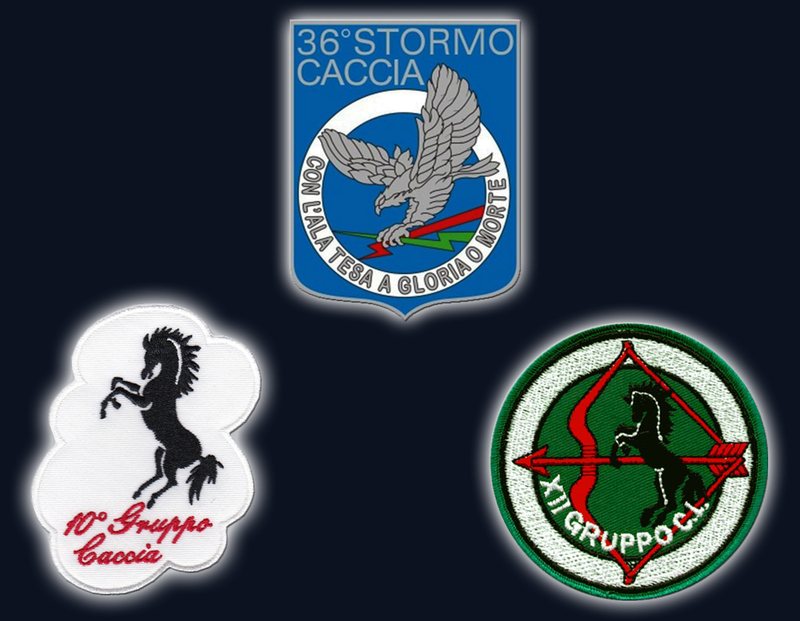 In April 1980, a new detachment was established in Rimini, It will become the 83rd SAR Center on 30 October, 1983. 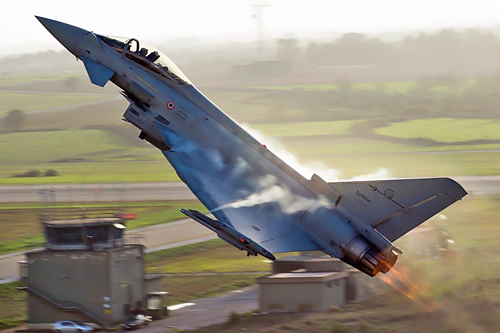 A few months later, the 615th Liaison Squadron will be established at Ciampino. Loose detachment of Linate, the activity of the Detachment of Trapani began in early 1981, which will become the 82rd SAR Center on July 6, 1982. 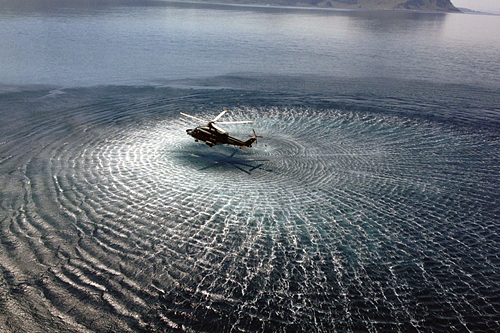 In 1982, the Silver Medal for Aeronautical Valor was awarded for rescue operations. On November 18th, 1997, the Crew Training Team was renamed the 81st EWC-Crew Training Center. From March 1986 the Stormo received the AB-212 helicopters. 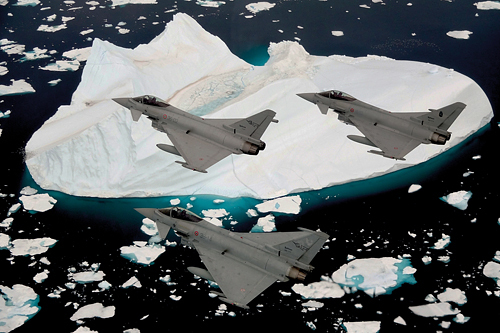 Since 1993 the Stormo has been involved in Combat SAR operations in Somalia, Bosnia, Albania, Kosovo and Iraq. On October 6th, 1997, with the establishment of the 9th Air Brigade, the Command of the 15th Wing was transferred, to the 81st Center and the 85th Group, from Ciampino Airport to that of Pratica di Mare. In 2008, the Gold Medal for Aeronautical Valor was added to the War Flag for the operations carried out in 2003 in Iraq. On October 5th, 2010 the Command of the 15th Wing was transferred, with the 81st Center and the 615th Liaison Squadron, from the Pratica di Mare airport to that of Cervia. At the same time, the 83rd Rimini CSAR Center was disbanded and was reconstituted as the 83rd CSAR Group at the Cervia airport. The 85th Group will change its name to 85th CSAR Center. 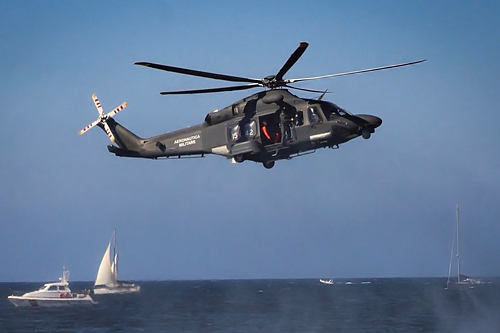 On September 10th, 2012, the 84th CSAR left Brindisi for Gioia del Colle. The HH-3F was retired in september 2014. 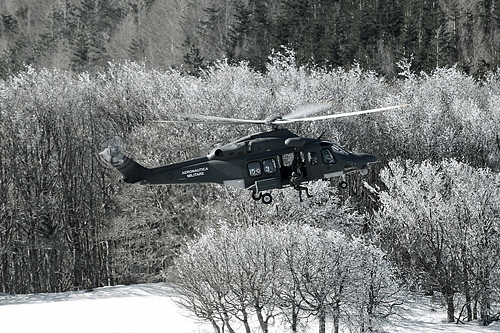 From January 2012, the Stormo started to receive the first HH-139A that became fully operational in March 2013. On November 1st, 2013, 670th Liaison and Rescue Squadron in Decimomannu is incorporated into the newly established 80th CSAR Center of the 15th Wing becoming the 6th Center. On September 22nd, 2014, 15 Stormo passed from the direct dependence of the CFSS to the dependence of the newly constituted 1st Special Operations Air Brigade (in turn dependent on the CFSS) transferred to the Cervia sediment. On July 8th, 2015, the first HH-101A "Caesar" is delivered. On April 5th, 2016, the Silver Medal for Aeronautical Value was awarded for the interventions in Olbia in November 2013, in Modena in January 2014, and in the Adriatic Sea in December 2014. 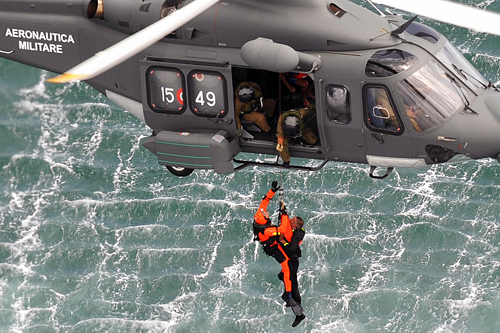 The 15th Stormo guarantees, thanks to its Centers throughout Italy, 24 hours a day, 365 days a year search and rescue coverage of flight crews in difficulty, also contributing to activities of public utility such as the search for missing persons at sea or in the mountains, the transportation of patients in danger of life and the rescue of seriously traumatized people. Since its establishment until today, the crews of the 15th Wing have saved over 7,200 people in danger of life. Among the major interventions of the unit are those for the earthquake of Irpinia (1980), the floods of Sarno and Quindici (1998) and Piedmont (2000), the S.M.I. for the G8 of 2001, the earthquake in Abruzzo (2009), the shipwrecks of the Costa Concordia (2012) and the rescue of the Norman Atlantic (2014). 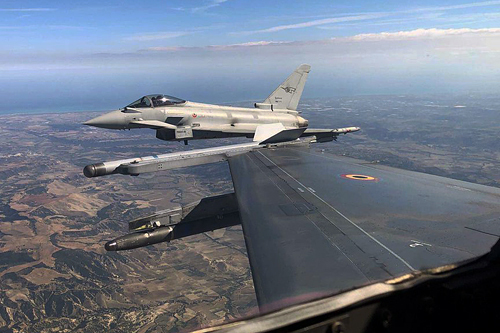 The 15th Wing carries out Search and Rescue duties in Italy and in territorial and international waters around Italy and in cooperation and intervention in favor of the civil population in case of calamity. In the last few years, also thanks to the changed world scenario, the 15th Wing is also involved in international humanitarian missions in parallel with national commitments. Somalia, Albania, Kosovo and Iraq to mention the most important. 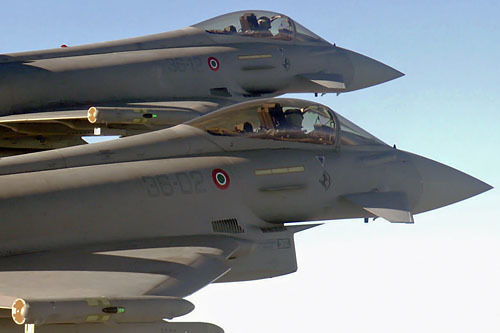 The Department has also acquired the skills of Relief and support in respect of military personnel in hostile territory (Combat SAR) and support for the security of sensitive areas and objectives during major public events in Italy, such as the interception of airplanes low performance (Slow Movers Interception). The 15th Stormo has seven Flying Groups (of which 6 are called Centers), 1 Aircraft Efficiency Group and 1 Squadron distributed in four bases on the national territory under the coordination of the Fleet Operations Office, currently in command of the ten. with the. Verner Rosati. In each of its centers has a helicopter dedicated to the SAR normally ready to take off in 120 minutes 365 days a year, whose coordination is under the authority of the Coordination Center for Air Operations Command (COA) of Poggio Renatico (Ferrara). - 80th CSAR Center on Decimomannu airport, equipped with AB-212 helicopters. - 81st CAE Center (Crew Training Center) on the Cervia-Pisignano airport, equipped with HH-139A and HH-101A helicopters. 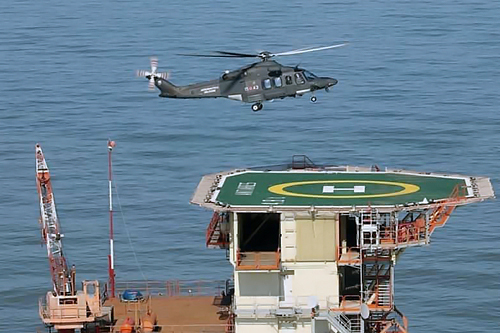 - 82º CSAR Center of Trapani Birgi, equipped with HH-139A helicopters. - 83rd CSAR Group on the Cervia-Pisignano airport, equipped with HH-139A helicopters. - 84th CSAR Center at Gioia del Colle airport, equipped with HH-139A helicopters. 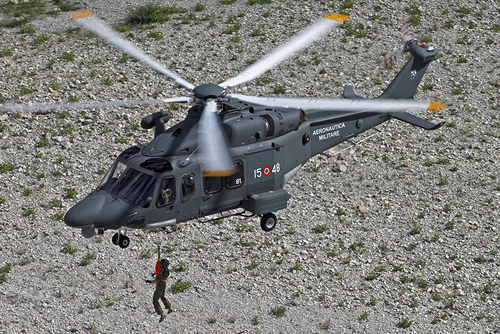 - 85º CSAR center at Pratica di Mare airport, equipped with HH-139A helicopters. 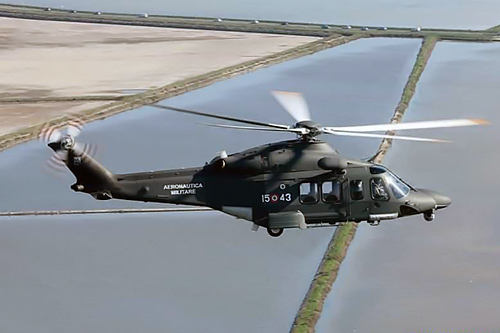 - 23rd Flight Group at Cervia-Pisignano airport, equipped with HH-101A helicopters. - 615th Squadron Links, based on the Cervia-Pisignano airport, equipped with TH-500B helicopters. - 672th Squadron Links, currently based on the Experimental Polygon and Interforces Training (PISQ) of Salto di Quirra, equipped with AB-212 helicopters.